The music and fun is free to all unsuspecting strollers who may happen upon these great street performances, one of the best loved Parkway events. Santa may appear, and some of his elves will for sure. There will be stories told, and histories of the region. 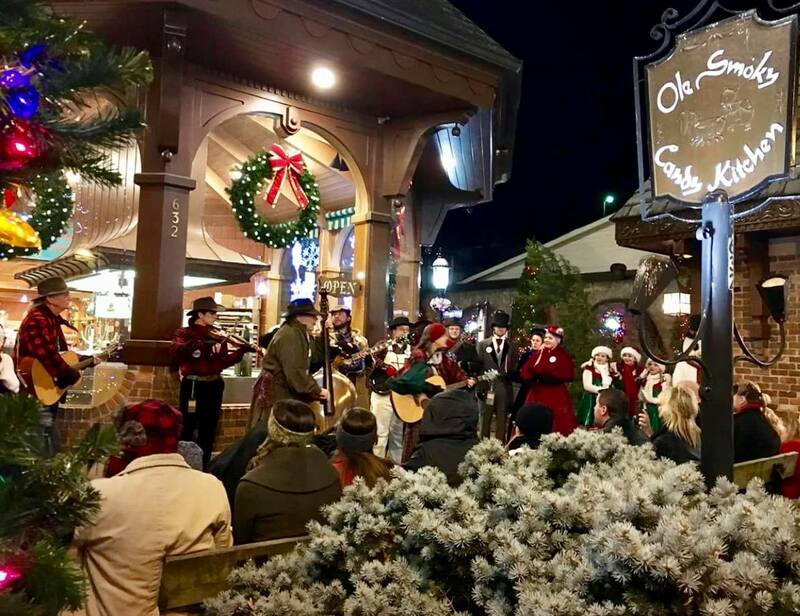 Carolers and bluegrass bands alike will fill the air with a mix of seasonal music. Take your camera with you if you venture out on Parkway on these evenings because it’s a great photo opportunity to pose with Santa or his elves, maybe a snowman, or any of the lads and lasses dressed in their period costume finery. 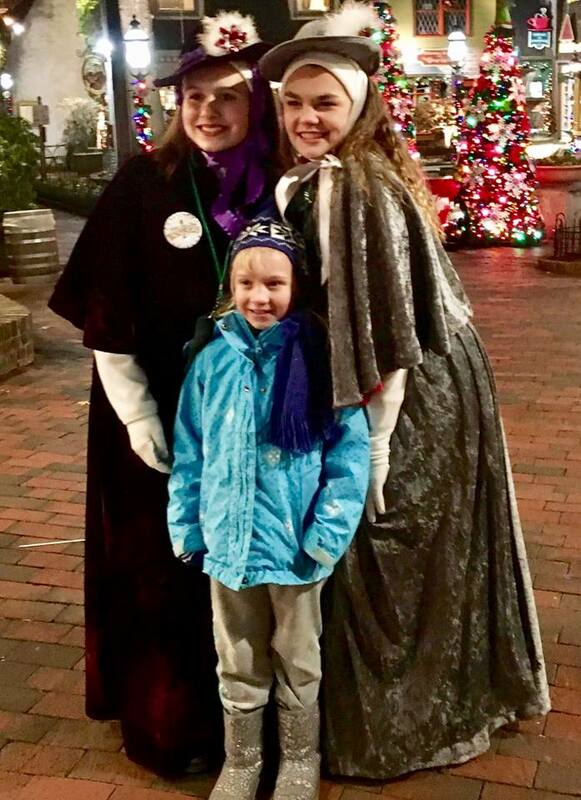 And all with the backdrop of Gatlinburg shops and attractions fully decked out with lights and Christmas decoration. The Tunes and Tales performers are best known for their summer season, which is longer and features more bands – catch a taste of it in our latest write-up: Tunes and Tales 2017. It’s always been a class act, since its beginning as a trial pilot by the City of Gatlinburg a few years ago. One thing for sure, we’re never letting it go now! Enjoy the season, and check the Tunes and Tales Facebook page for photos and news about happening things.